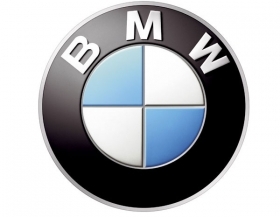 BMW has been downgraded to ''neutral'' from ''buy'' by Citi Investment Research, which said a sales slowdown in China and the Asia-Pacific region signals that emerging markets can no longer drive the automaker's stock. China's burgeoning affluent class has helped the premium car industry break one quarterly record after another, though demand has remained stagnant in Europe, where ongoing economic problems and issues of overcapacity have plagued carmakers. In China too, the country's auto-market growth is slowing at all levels and inventories are rising. Mercedes-Benz and Infiniti have already reported sharp discounting there, the brokerage said. "It would seem the emerging-markets story driving BMW's share price is finished for now," Citi analysts wrote in a note. Sales in China, which was the BMW Group's biggest single market for the first quarter, rose 34.4 percent in the first five months to 135,026 cars and SUVs. Weak demand in Europe - which contributes 30 percent of BMW's revenue - also won't help the company, especially as the UK and Germany has started weakening, the brokerage said. "The United Kingdom is back in recession, car sales are slowing and pricing is increasingly tough as used prices come under pressure," Citi said. "It is not easy to continue to suggest that the European impact on BMW will remain irrelevant," Citi said and cut its price target on the stock to 60 euros from 75 euros. Car sales in Europe in May reflect weak consumer confidence in the crisis-hit region, with the two biggest markets Germany and France posting falls from last year. According to data from the auto industry group ACEA, new-car sales in the EU and EFTA countries fell 7.3 percent to 5.64 million in the first five months.